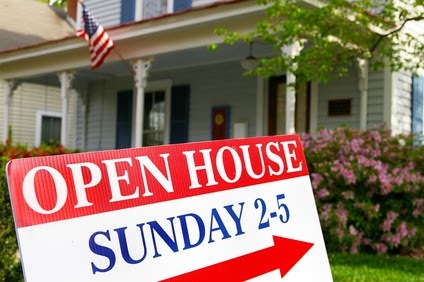 The housing market is slowly recovering, with the average house price up more than 13 percent compared to this time last year, The Motley Fool reports. Some areas, such as Houston, Texas, are seeing even bigger jumps of up to 23 percent, the Houston Chronicle reports. While this spells better days for real estate agents, you still need to be willing to take advantage of every bit of technology to make selling homes easier. Bring out your smartphone, and prepare to make it your favorite tool in your sales arsenal with these apps. When you're set up at an open house, and you're taking down client information, would you rather have it automatically sync to your iOS devices, or have to transcribe handwritten papers? Chances are good you're going to want the automatic syncing. Visitors sign in on an iPad, their contact information gets synced to your contacts list, follow-up emails can be created from the list, it generates homeowner reports, and you can create your own open house surveys. In addition, if you're using a different customer relationship management software, you can export the data to popular options such as Salesforce. It's hard to have a better companion app for open houses than this one. While the Realtor suite of apps for Android and iOS devices are mostly intended for consumer use, agents get a lot of benefits, as well. If you want to show your potential clients a number of properties, with full galleries and information, while you're sitting in an office, a tablet is much easier to use than your desktop computer. You also have the most up-to-date MLS information through Realtor, so if you want to track any changes in a property, this is your best bet. Trulia is a great source for real estate listings and agent resources, and its iOS app is pretty handy, as well. It allows you to respond to leads quickly, check in when looking at listings, and easily send house information to your potential clients. When you want a solid, general real estate app that covers most of the functionality you could desire, Trulia nails it. User engagement is much higher on smartphones than it is on desktop computers, since there are fewer distractions. In most cases, you probably don't know enough coding to get your own app up and running, but there are services that will create a branded real estate app you can share with your potential clients to reel them in. RECake creates Android, webOS and iPhone apps that feature your information, MLS searches, notes, favorites, property details, contact information on results pages, and even an agent feature that allows you to make notes about customers. You can use customer-facing notes to recommend resources such as storage facilities, generator or other equipment rentals, moving companies or anything else that might help new homeowners make a smooth transition. It will give them even more of a reason to use your app.